Welcome to DeFelice & Vecere Orthodontics! 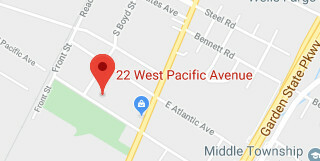 DeFelice & Vecere Orthodontics is a progressive and friendly orthodontic practice in Cape May Court House, NJ, where Dr. Gregory J. DeFelice, along with Dr. Jeffrey W. Vecere and our staff, are committed to providing comprehensive orthodontic care for children, adolescents, and adults. We offer a wide range of treatment options, completely customized to suit your orthodontic needs and lifestyle. Damon® Smile braces are perfect for patients desiring a straight smile in less time, while Invisalign® clear aligners are ideal for adult patients who want to enhance their smile, but are concerned about the appearance of traditional braces. We believe our highly skilled team and our innovative treatments and technologies will give you the confidence that you are receiving the highest standard of orthodontic care available. 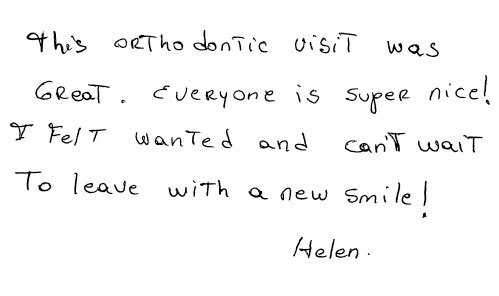 At the orthodontic office of Dr. DeFelice & Dr. Vecere, your smile is our top priority! 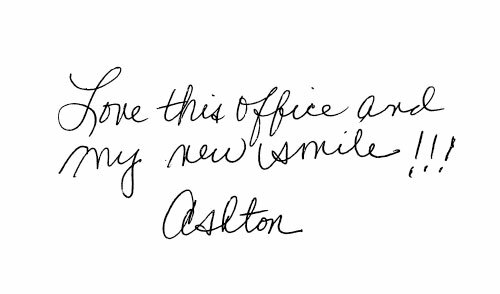 We look forward to helping your family with their orthodontic needs and welcome the opportunity to be of service to you and your family! 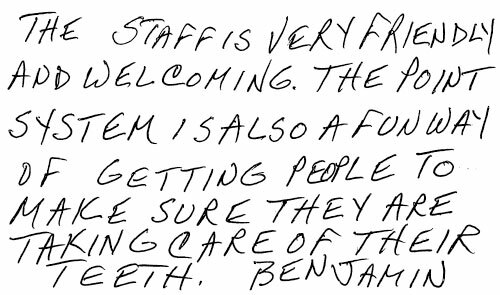 Contact our Cape May Court House orthodontic office to schedule an appointment today! Imagine earning points for be­ing a great pa­tient and hav­ing a great smile! 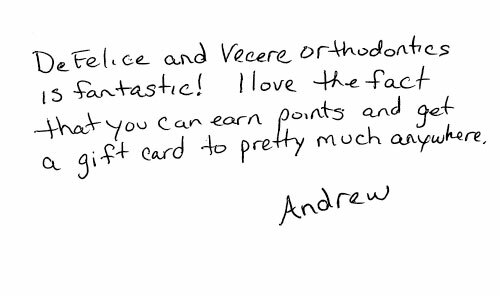 With DeFelice and Vecere Orthodontics, you get to join a mem­ber­ship club of lucky users who earn points for do­ing all kinds of awe­some things. And the best part is that you get to use your points to play games, or­der gift cards and more!